Applications are now being accepted for the 2018-19 school year. 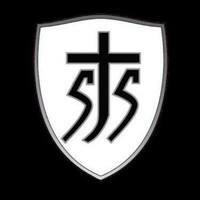 St. Jerome School welcomes all families of any denomination who desire quality academic education. We admit students of any faith, race, color, nationality, and ethnic origin. Typically the registration process begins in January for the upcoming school year. Please contact the school office for more information regarding registration information. Potential new families are encouraged to visit and see our school in action. Please call the school office to schedule a tour.